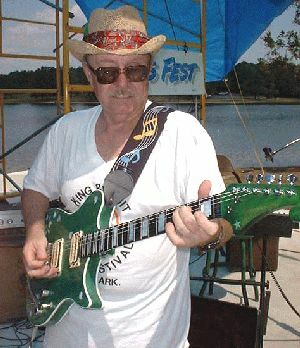 Sonny Ackerman is one of the inventers of RocknRoll guitar. He began playing in the early 50's and by the beginning of the Twist craze in the early 60s he had teamed up with Bobby Lee Trammel and was playing lead guitar for his band. His lead guitar work appears on the Arkansas Twist which was a major hit in the US. Sonny has worked with Richard Manning, Narvell Felts, and Bobby Lee Trammel and many other music groups over the past 30 years. He now plays with the Big Creek Band and their lead guitarist.